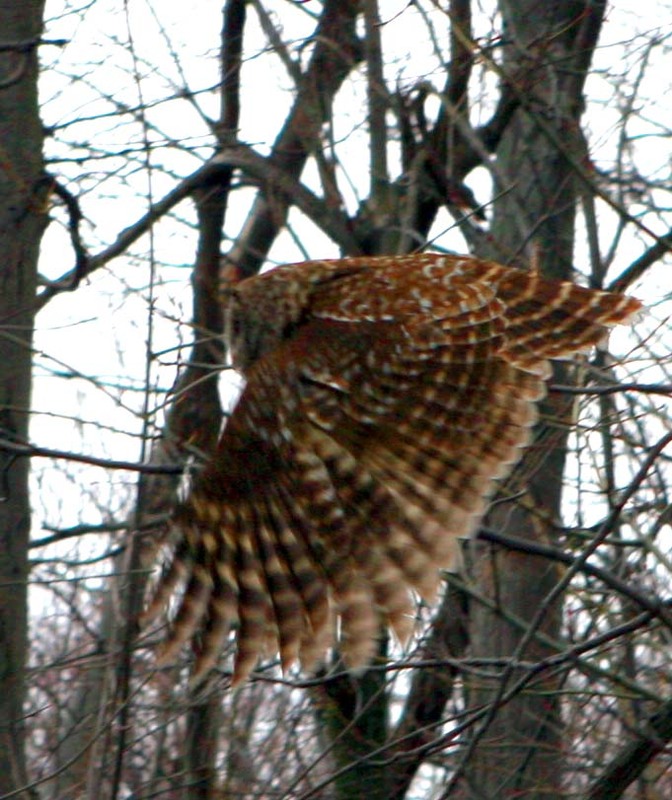 Today, while importing some other photos I took at Princeton’s campus this morning, I discovered this photo of the owl you met the other day. Here he is, flying away from me and my camera. That camera of yours is really fast –although a birds wings stop before they reverse and recycle it is an outstanding photo!